Certain situations may prompt you to place your loved one in an assisted living facility, especially if you will find that taking care of them will be too emotionally and physically taxing for you. Part of the process of choosing an assisted living facility is finding out if there is enough people in their staff to look after your loved one. Staffing ratio is one of the factors that should help you decide if the facility is ideal for an aging parent or family member. Efficient staffing ratio means that there is always enough caregivers and medically trained staff to look after your loved one at all times. 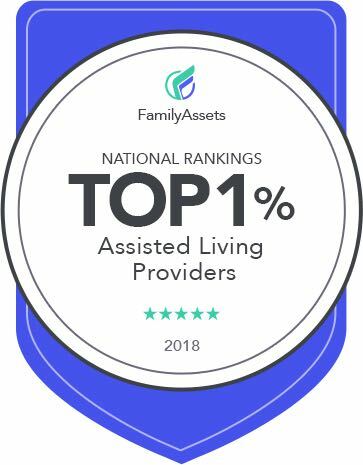 Some of the best assisted living facilities maintain the highest staffing ratio, ensuring that one caregiver is available for every five residents. Effective and efficient staffing ratio in an assisted living facility ensures that all physical and emotional needs of each patient are provided holistically. A good facility maintains the highest standards when taking in new patients and hiring new staff. They only hire health care specialists who specialize in dementia and Alzheimer’s care, and they never overbook their facility to ensure that each resident gets personal attention. One of the leading assisted living facilities in Texas has 16 semi-private and private bedrooms in a high-quality, reliable, and safe residence, with access to relaxing and beautiful porches and outdoor paths. Many states do not have official regulations on the right ratio of caregivers to residents in assisted living facilities. If this is the case in your area, then you need to review the qualifications of the staff, their specializations, and the type of training they have received. Make sure that they are certified and qualified professionals with experience in caring for patients with Alzheimer’s and dementia. Some of the best caregivers are registered nurses and caregiving professionals who have years of experience working in rehabilitation centers, nursing homes, and hospice care facilities.